The party in progress at Manhattan�s Hotel Dumout is in honor of a middle-aged novelist named Anthony Payne, whose books are published by North Books, Inc. Among the guests are some of the most distinguished luminaries of the literacy and theatrical worlds, one of whom is meditating murder. As a prelude to the main event, the guest of honor engages in a brief bout of fisticuffs with another novelist. A short time later he is shot through the center of his bald head. On hand for the occasion are two of Payne�s ex-wives as well as his current spouse and a handsome actor who appears to be quite friendly with her. Also present to round things out, is a suitor of the pretty young thing who is Payne�s most recent conquest. 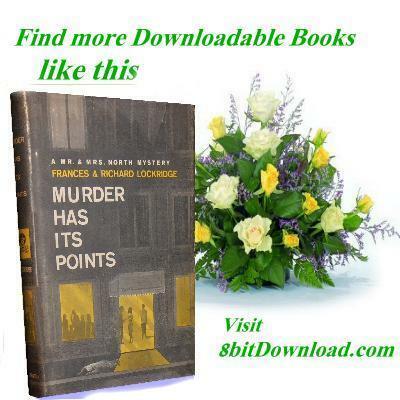 In all, Captain Bill Weigand has a dazzling abundance of suspects, most of whom freely admit their murder has its points when the victim is Anthony Payne. The trouble is that suspects begin to disappear, and worse trouble develops when Pam sets out to intercept one of them. The climax, at a fog-shrouded house in Cunnecticut, finds the murderer�s rifle in good working order, and Pam on the scene.